Does Technology Cheapen the Hajj Experience? New technology, such as live feeds, Snapchat, and iPhone apps, has helped bring Hajj closer to Muslims around the world. In fact, technology has always played a role in developing the Hajj pilgrimage. The first Hajj travel packages were launched by the British in the 1880s, as their travel agents became the official travel agents for pilgrims in the Indian subcontinent. The Ottoman Empire, meanwhile, launched the Hijaz Railway in 1908, which ran from Damascus to Medina and meant Hajjis no longer had to make a 40-day trek by land in which many died. Transport and logistics technology from the industrial age enabled increasing number of pilgrims to take part in Hajj. This trend continued as flights became more accessible around the globe, leading to 2.3 million Hajj attendees in 2017 compared to 100,000 in 1950. 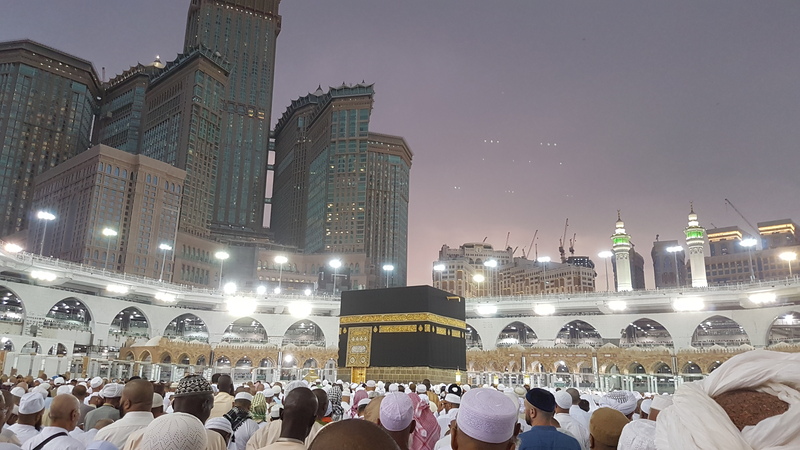 Beyond merely allowing pilgrims to reach Hajj, technology is also helping them stay safe and connected once they arrive. Wearable bracelets issued by the Saudi government store information about the wearer, which can be invaluable in cases of isolation from a group or after an accident or health incident, such as the Mina stampedes in 2015. Although this year’s Hajj was largely problem-free, it is understandable that friends and families of pilgrims will want to be kept informed about their loved ones’ whereabouts. For example, if your relative’s location hasn’t changed for several days, or they are not at Muzdalifah when they should be, you will know that something’s not right and can call for help, all whilst providing the exact location of the individual. This is especially important for older Hajjis. Mobile phone apps such as Arab news’ Hajj App have been designed with both pilgrims and those at home in mind. As well as providing location information, they give the pilgrim the latest Hajj news, ensuring they are kept safe and well informed. This is a major improvement from the past, when those back home would have to wait for infrequent (and often expensive) phone calls at odd hours of the day to get updates on their relative’s journey. Social media can also be very important for dawah, by showing non-Muslims (who aren’t allowed into Mecca) the beauty and harmony of Hajj. Countless non-Muslims were positively exposed to Islam when Snapchat ran a story on Mecca_Live. All it took for this change in perspective was non-Muslims seeing footage of worshipers expressing who they are and why they were at Hajj. Aside from social media, Hajj officials have also used other digital spaces for Hajj. They have created portals for pilgrims to inform themselves before starting their journey. SaudiWelcomesTheWorld.org and Hajj2017.org emulate the experience of would be pilgrims by taking users on a virtual tour of Mecca and pointing out the stages of Hajj and what pilgrims should expect. However, despite all these positives, the relationship between technology and the Hajj can also be problematic. Video calls and selfies may reduce the spirituality of Hajj for the actual Hajjis. I completed Hajj in 2005, before smartphones took over the world, and would gladly do so again in the near future. Yet I worry the experience won’t be the same when surrounded by fully-charged iPhones. Additionally, it can be hard for many to remember that in spite of the luxury flights, glitzy hotels, and media spectacles, Hajj is about spiritual discipline. It is founded on a deep religious symbolism and devotion to God that can be difficult to maintain when it is subsumed into a social media frenzy. We would not take a selfie during salah, so why do it during Hajj? The core experience of Hajj depends upon pilgrims stripping away their material possessions, which can be distractions in the central relationship between a Muslim and the divine. The constant phone conversations around the Kaaba, as well as non-stop buzzing and ringing, can pull other Hajjis out of the experience, compromising the spirituality of the journey. Hajjis can embrace technology in a way that can enhance the Hajj experience, without losing their souls – and the soul of the pilgrimage itself – in the process, with a controlled and appropriate approach to using technology. Technology that keeps Hajjis and those at home well informed and safe should be encouraged. Technology that begins to affect the sanctity of Hajj should be looked at again. Above all else, the core experience should never suffer because of technology. Image: A view from Hajj. >Flickr/Cbhuk. 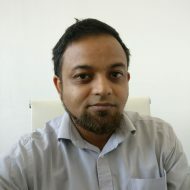 Hassan Hoque is the CEO of tech company, Key2CRM, and the Executive Director of think tank, Forum For Change.